10 Signs You’re A NO Bullsh*t Kinda Girl! About everything. Because you’ve got nothing to hide or be ashamed of. Because it can only help improve you, right? Because you’re not someone’s punching bag. Being nice and being a pushover are two different things. Never be a pushover! Which doesn’t mean that you rebel unnecessarily, but you rebel when you have to! Because you can finance yourself, thank you very much. You have high principles and you stick to them. Always! Because you realize that holding on to grudges does no good. 10. Nobody ever dares to mess with your friends. Because you're fiercely protective of them! GIFs: Giphy HAVE A STORY IDEA FOR POPxo? If you want to hear about it, we can write about it! Just tell us your idea here! MUST-READ: 12 Ways You Are *Winning* At Life! (You Go, Girl!) 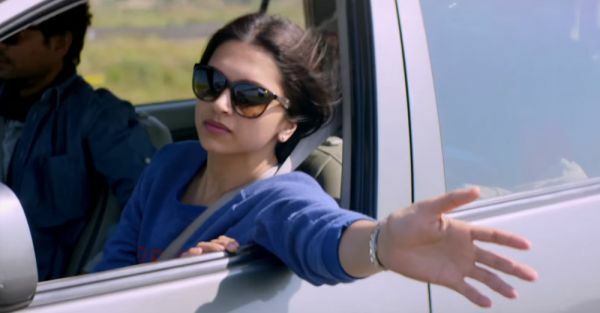 MUST-READ: 11 Signs You’re A Girl Who’ll NEVER Give Up When It Counts!